By Aunt Arctic -- Mysterious crystals with unusual energy forces are sprouting up across Club Penguin! A research station is set up in the Forest to the study the peculiar development. The second article in this week's newspaper addresses that the Hot Sauce has been recovered and everything is back to normal at the Pizza Shop! Will you be purchasing a pizza? By Aunt Arctic -- "I'm super grateful. Mmm grated cheese..." Make sure to stop by the Pizza Parlor to enjoy a slice or two! 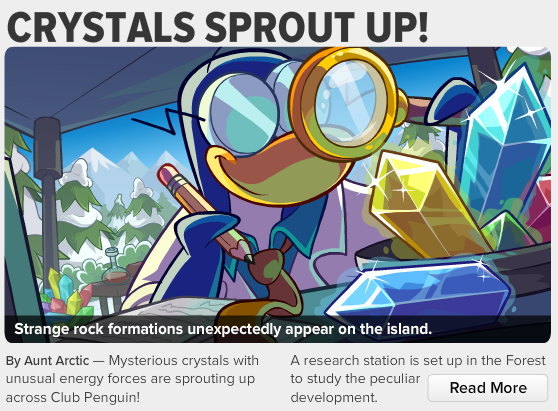 On Now -- Research Station - Head to the Forest to help study the strange crystals. April 25 -- Super Hero Costumes - Suit up as your favorite Marvel character! 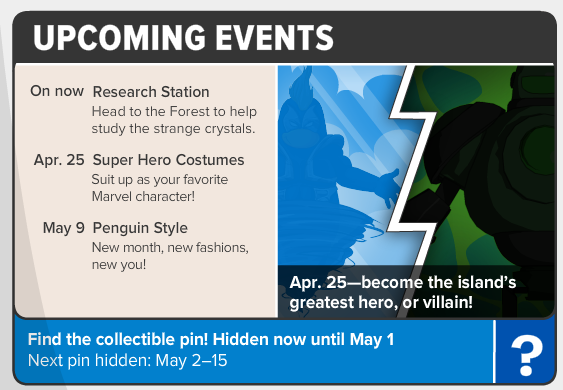 March 9 -- Penguin Style - New month, new fashions, new you! 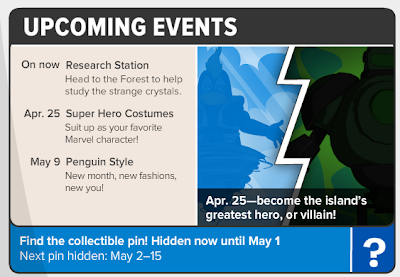 I can't wait for the Superhero party! Will you be a superhero or villain? Leave your comments below!